The Tick is getting a full season on Amazon Video. A little over a month ago, Amazon ran the pilot episode of the new take on The Tick. Today, Deadline is reporting that Amazon has ordered a full season of the superhero spoof. "In a world where superheroes have been real for decades, an accountant with mental health issues and zero powers comes to realize his city is owned by a global super villain long-thought dead. As he struggles to uncover this conspiracy, he falls in league with a strange blue superhero." 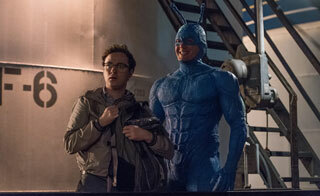 The new season of The Tick will be aired next year.